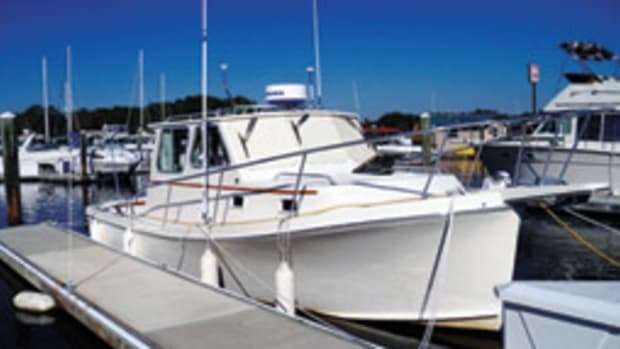 One of the attractions of a used boat is the price, which tends to be lower than for new boats of a comparable size. 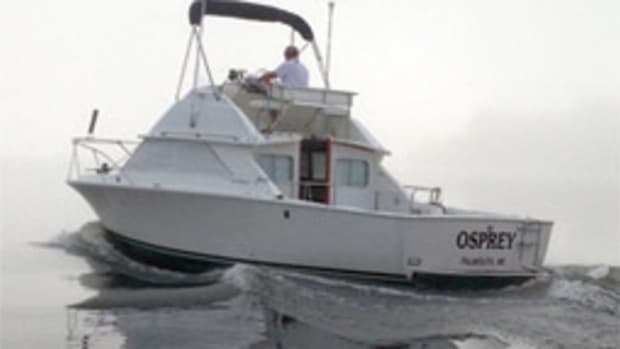 But when you can combine low cost with a good yachting pedigree, when you find a well-known boat with a solid reputation, you can really get the most out of your dollars. 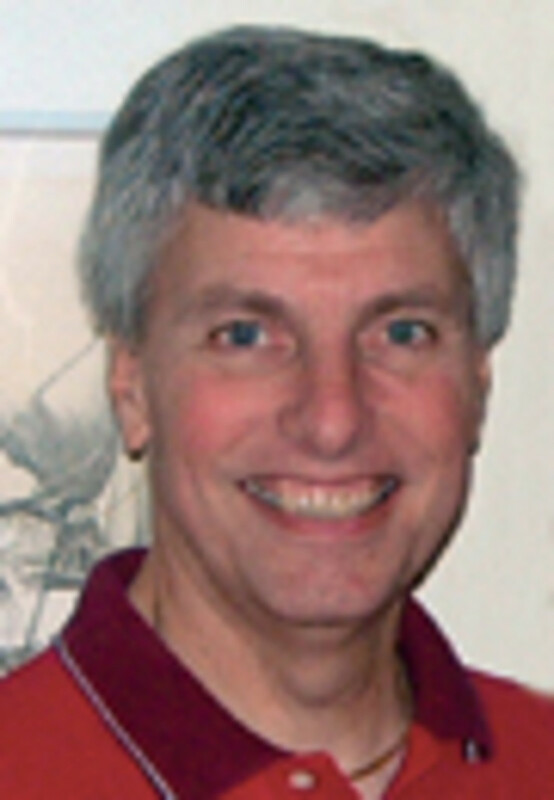 Take the case of Annapolis, Md., boater Dan Lawrence. 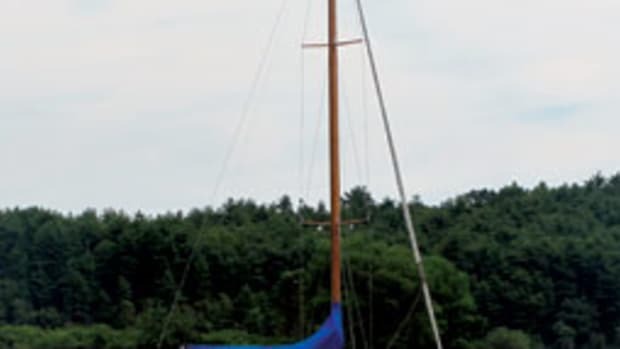 The 56-year-old ex-Navy sonar man, currently working in advanced programs with General Dynamics Advanced Information Systems, paid just $4,000 for one of America&apos;s seminal fiberglass sailboats, a 28-footer that&apos;s included in Sail America&apos;s American Sailboat Hall of Fame. And that price included a new mainsail. SPECIFICATIONS LOA: 28 feet, 6 inches BEAM: 8 feet, 3 inches DRAFT: 4 feet DISPLACEMENT: 8,400 pounds HULL CONFIGURATION: full keel, keel-mounted rudder SAIL AREA: 362 square feet (sloop); 400 square feet (yawl) AUXILIARY POWER: Universal Atomic 4 (30 hp) TANKAGE: 15 gallons fuel, 15 gallons water BUILDER: Pearson Yachts, Bristol, R.I.
Lawrence has "sailed the heck out of it" since he bought it in 2000. "She&apos;s got classic lines, solid construction and bulletproof sailing qualities," Lawrence says. "She&apos;s a great and forgiving boat." 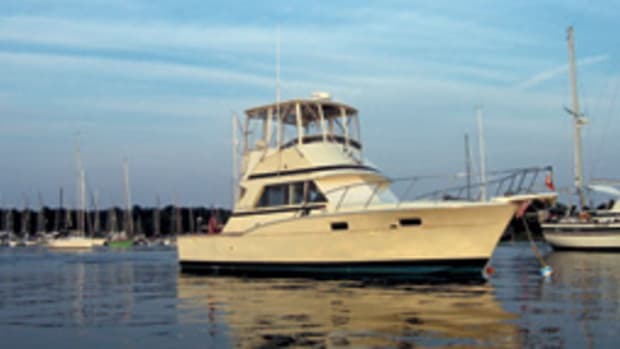 The boat he&apos;s so effusive about is Sandpiper, his Pearson Triton 28, a vintage 1959 model. It was displayed for the first time at the 1959 New York Boat Show, where the then-radical fiberglass sailboat caused a sensation. Builders Clint and Everett Pearson came away with 18 orders and the era of the glass boat dawned. 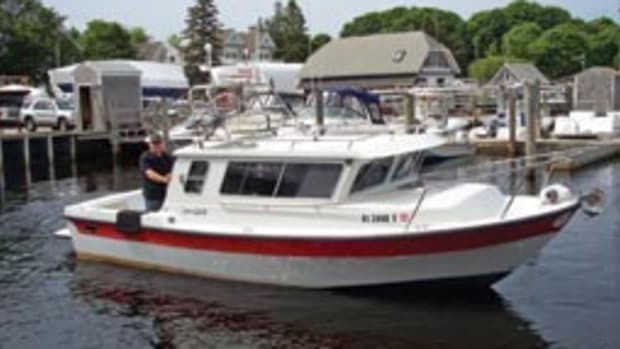 Lawrence&apos;s Triton, at age 41, needed work when he bought it - and that&apos;s another side of the used-boat experience; they often require elbow grease. "She was not in real good shape," Lawrence says. "The owner at the time was actually planning to cut her up for parts and toss the rest on the scrap heap." Lawrence, who&apos;d been racing local waters with the Chesapeake Bay Triton Fleet since retiring from the Navy - and had gotten into an Annapolis-Bermuda race, too - wouldn&apos;t let that happen. For one thing, he knew the old boat well. "I had sailed against her in many, many races and we lost to her more times than we won," he says. "I&apos;d even sailed aboard her and liked the way she looked and felt." It took him three years of on-and-off work - starting with the mechanics - to get Sandpiper into good running condition again. "I worked on the Atomic 4 extensively and made it one of the more reliable engines," he says. He also stripped, barrier-coated and repainted the bottom; pulled and rebedded all of the through-hulls and deck protrusions; and rebuilt two of the boat&apos;s three hatches. "I&apos;m still working on the third one," he says. "Then I will work on the toerail and coaming." Meanwhile, Lawrence has gotten a decade of competition in the CBTF fleet and at various Performance Handicap Racing Fleet regattas. "I like to do the day races, either against the other Tritons who want to come out and play as a one-design class or in the PHRF category," Lawrence says, "especially when there&apos;s 10 to 15 knots of wind, when I can be especially competitive." The Triton 28, with its full keel and 8,400-pound displacement, handles "like a duck in water," Lawrence says. 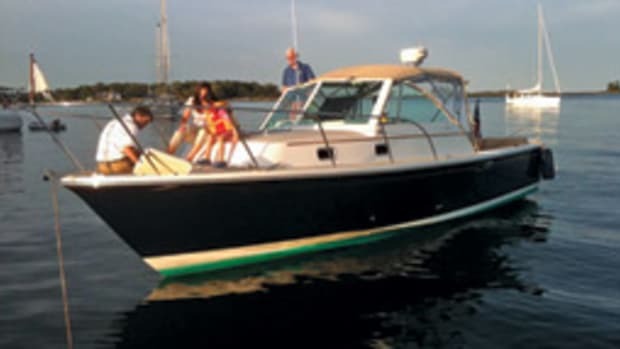 "She&apos;s a heavier boat and so she pushes through the seas rather than hobby-horsing like a lot of the newer and lighter boats of comparable size are wont to do. With a righting angle in the 110-degree range, she can be on her beam ends and still be expected to right herself - and I&apos;ve had to prove that theory more than once with a sudden Chesapeake squall and high winds." Take this little adventure. Not long ago, Lawrence got under way from his slip at the Whitehall Yacht Yard in Annapolis in 25- to 30-knot winds for a race to Oxford, Md. By the time he hit the mouth of the Choptank River, Sandpiper was on a beam reach in 45- to 55-knot winds, carrying the minimum amount of sail possible. Eventually, Lawrence lay anchored for 18 hours until the winds died to a "respectable" 30 knots. "We set a blade and double-reefed main, sailed off the anchor and headed back up the Bay and into the slip in Whitehall," Lawrence says. That&apos;s part of being on the water, Lawrence says. And that&apos;s what he loves about boating - being on the water. That, and the excitement of competition and the camaraderie it creates. "Everyone working toward a common goal of moving the boat forward in sometimes very challenging conditions," as he puts it. Sandpiper delivers both - with classic looks and an affordable price tag. The Pearson Triton 28 shows the lines of a classic from the late 1950s, with a traditional trunk cabin and raised "doghouse," and moderate overhangs. Notable characteristics are the spoon bow, raised transom and fractional rig, with its double jumper stay. The layout below sleeps four in a private cabin forward and bunks in the main saloon. The galley is at the foot of the companionway, with the sink/counter to starboard and the front-loading ice chest to port. The sink and counter area can double as a chart table. The saloon has opposing fore-and-aft bench/berths on each side, with storage shelves above and drawers below. A folding table can be placed between. The head compartment is forward to port and includes a marine head and sink, and it can be closed off from both cabins for privacy. The main cabin has a V-berth arrangement with shelves and a hanging locker. In the cockpit, there is tiller steering, fore-and-aft bench seats and a centerline companionway. Teak trim and rails set off the fiberglass cabin and a teak coaming wraps around the cockpit. 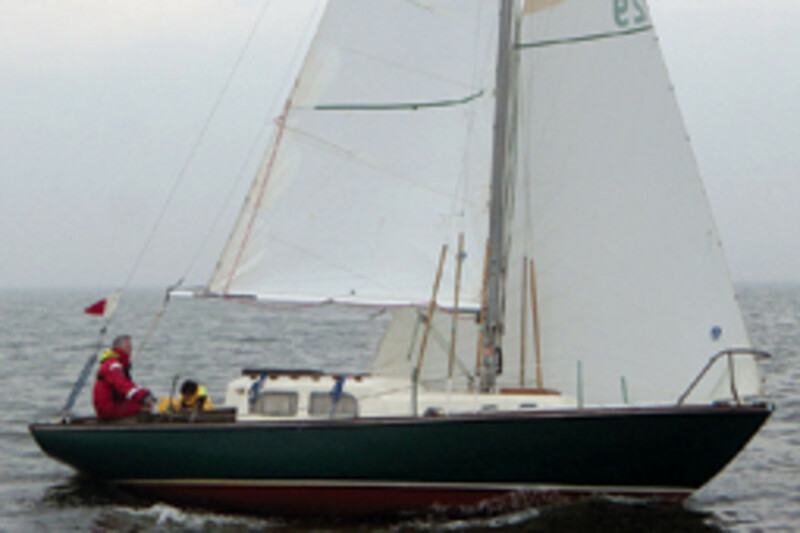 The Pearson Triton 28 is a true yachting pioneer and many consider it to be the first production fiberglass sailboat. It dates from the late-1950s, when it was conceived by the fiberglass pioneers Clint and Everett Pearson, of Bristol, R.I., who wanted a "28-footer that sleeps four." Designer Carl Alberg subsequently turned the idea into one of the most successful sail designs of the modern era and Pearson built more than 700 Tritons before production halted in the late-1960s. (Later Pearson models of the same size were the P-28 and the 28-2.) 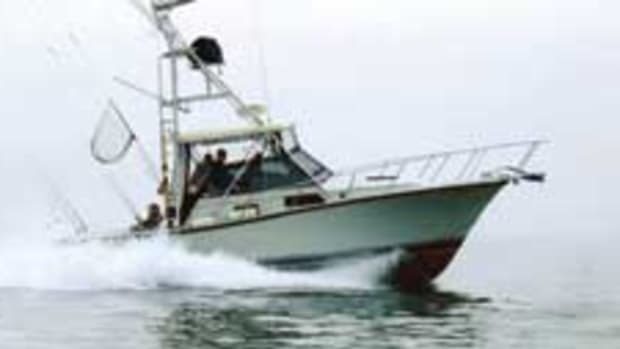 The Triton 28 is prized for its performance and roomy interior compared to wooden boats of the day. Sloop and yawl rigs were offered and the boat was attractively priced new for less than $10,000. Prices for used boats today vary from less than $5,000 to about $15,000. This article originally appeared in the November 2010 issue. Click here to find more Pearson Yachts.